“We entered the drive way of Dora’s lovely villa-style house in Pukekohe, and she welcomed us into her family home,” says Careerforce’s Crisselda De Leon, on a visit to gain an insight into the life of a support worker. “At 85, Dora is still quick on her feet. She says she tends to forget things now, but we begged to differ. Dora is one of 1100 clients being supported in their homes by Counties Manukau Homecare Trust (CMHT). She has a support worker that comes three times a week to help her with anything from house cleaning, to showering, to grocery shopping. This set up works for Dora as she enjoys being independent and her family is rest assured she is getting the support of a trained and qualified person. Ensuring that their staff are trained and qualified is something that CMHT invests in. They have been working with industry training organisation, Careerforce, for over eleven years to support the on-the-job training of their staff. Their staff have two or three qualifications under their belt, as they have invested in upskilling them to achieve New Zealand Certificate in Health & Wellbeing, levels 2 to 4. “Investing in training is very important to us. We’ve put a lot of resources into our training and we employ a part time trainer and assessor dedicated to the training. We feel this money has been very well spent. We see that in the quality of the service that’s coming through,” says Trudy Biggelaar, Manager of CMHT. Toni Monson, Training Coordinator for CMHT, says that they expect their staff who have completed the training to put it into practice straight away and for those who have completed the Level 4 Advanced Support qualification, to step up by supporting clients with higher needs. The home care service provider also believes that the investment in training needs to be supported by an organisation-wide learning culture. They provide staff in training with opportunities to attend group study sessions facilitated by Toni in their Papakura as well as Pukekohe offices. 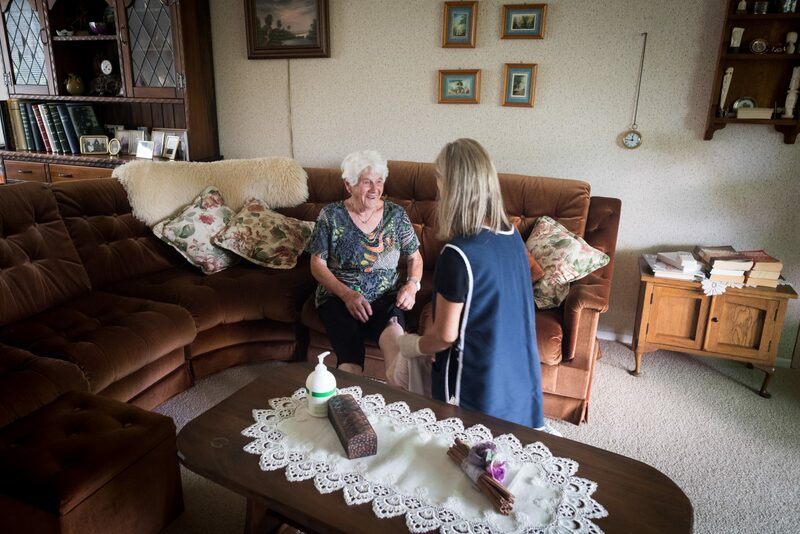 Trained and qualified support workers are key to ensuring the elderly can stay in their homes for longer; people with disabilities are supported to maximise their independence; and families are given respite and support in caring for their loved ones.